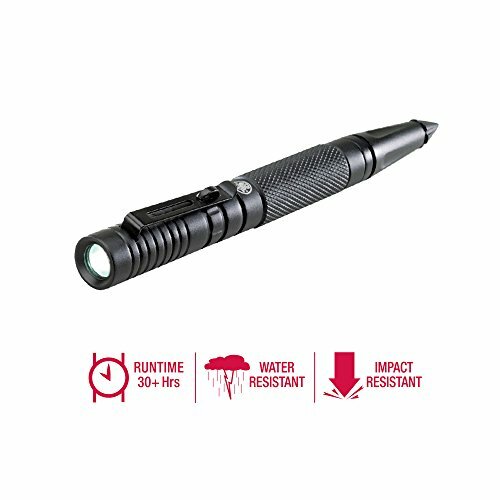 Flashlights are useful to have around for anything from finding your tent in the dark to lighting your home when the power goes out, but there’s another reason you might want to spring for one of these powerful handheld lights––they’re highly underrated defense tools. Whether you’re facing an intruder at home or encountering an assailant on a late-night walk with your dog, the right flashlight can temporarily disorient an attacker and give you enough advantage to get out of a dangerous situation unscathed. Finding the right flashlight, however, can be an overwhelming process. To help simplify that process, we’ve laid out some options below to help you find a flashlight that best matches your needs. *Data current as of 2/15/2019. Prices and specifications subject to change. Pelican is known for its quality, dependable products, and this flashlight exceeds the company’s reputation. It was made in collaboration with the LAPD to be the standard issue tactical flashlight for its officers. We chose this flashlight because it offers the perfect balance of durability, reliability, and brightness. Perhaps a little pricier than other options, it makes up for that in longevity and an unmatched lifetime warranty. 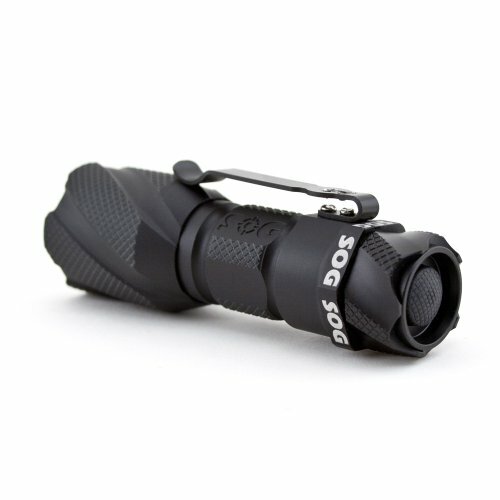 Dark Energy Flashlight cuts through the dark with a stellar 750 lumens. A tactical strobe setting and grooved bezel help you to disorient and defend against potential attackers. While we gave the Pelican a slight edge for its superior warranty and battery life, this is a flashlight you can depend on when you’re out in the dark and need to escape a hostile encounter. Equal parts small and powerful, the SureFire Defender Ultra thrives in self-defense situations. We like this flashlight for its high-strength strike bezel that can help you get out of a dangerous encounter in close quarters. And a 300-lumen high beam packs plenty of brightness to disorient an attacker in the dark. Its compact size makes it easy to carry with you anywhere. Anker created something special in its Super Bright Tactical Flashlight. You’d be hard-pressed to find a higher quality flashlight for under $30. At its highest setting, the light beam supposedly reaches approximately 1,000 feet (more than two football fields). In most cases, the medium beam should offer plenty of power and boasts a solid six-hour run time on a full charge. And with its water and cold-weather resistance, this Anker flashlight is as reliable as it gets out in the elements. Compared to the Anker, this isn’t the brightest flashlight, but the Penlight thrives in a way that other lights do not––it’s small enough to carry with you everywhere you go. Its pointed tip is also made to break glass, which makes it a useful purchase for your car. Brightness: Flashlight brightness is generally measured in lumens, which is the visible light being emitted from a source. For reference, the average low-beam headlight on a car projects around 700 lumens, with a 1,200 high beam. But lumens aren’t the only measure of brightness. For example, a flashlight with a better reflector can appear brighter than its competitors with higher lumen ratings. Size: If you want a flashlight to accompany you as part of your everyday carry, look for one that is more compact and lightweight. Thanks to LED technology, smaller flashlights aren’t necessarily less powerful than larger ones. Battery: Most modern flashlights come with rechargeable batteries. If you want a flashlight to use primarily for self-defense, you might not need a battery that will sustain its highest brightness for hours on end. 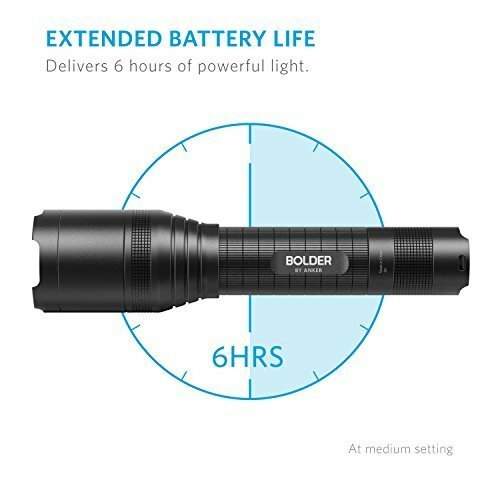 That said, if you want a flashlight to keep at home for both general use and self-defense, you might opt for a bulkier battery that can hold a bigger charge. Self-defense features: When it comes to self-defense features, brightness is the most important factor, but pay attention to the flashlight’s secondary features. Some flashlights come with serrated or toothed bezels to intimidate (and hopefully deter) would-be attackers. Others come with stun gun features that can incapacitate an attacker and give you time to get away. 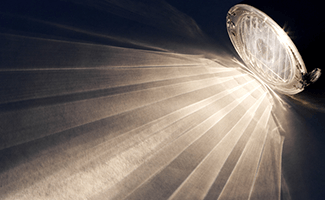 Whether the power goes out, your car breaks down, or you’re out in a quiet part of town after dark, you want a flashlight you can depend on when you need it most. If you’re anything like me, you’ll end up buying a flashlight for your car, your home, and another for your everyday carry. Do you have a go-to flashlight not mentioned above? We’d love to hear your thoughts in a comment below.